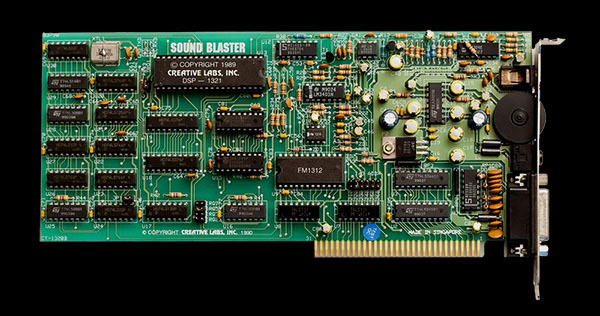 The Sound Blaster Was Born! 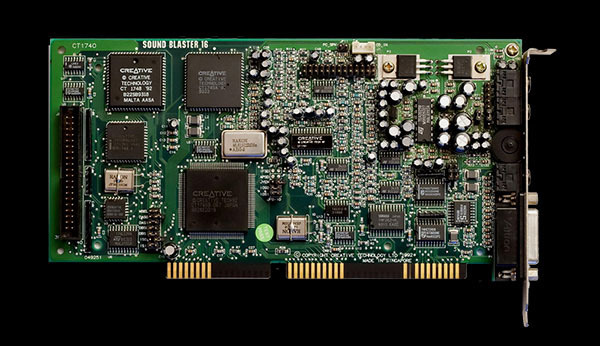 The first Sound Blaster sound card created was the Creative Music System. It gave the computer a voice it never had, though not even close to the audio fidelity today. However, this had paved the way to a whole new level of experiences in the world of PC music, entertainment and gaming. For every product launch, Sound Blaster’s audio quality reached new heights. 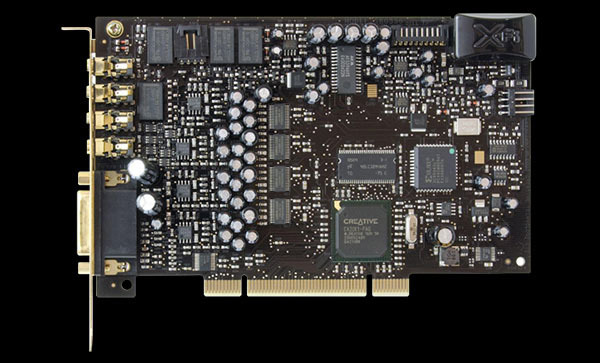 Sound Blaster’s continuous improvements finally led to today’s hi-fi quality standards. 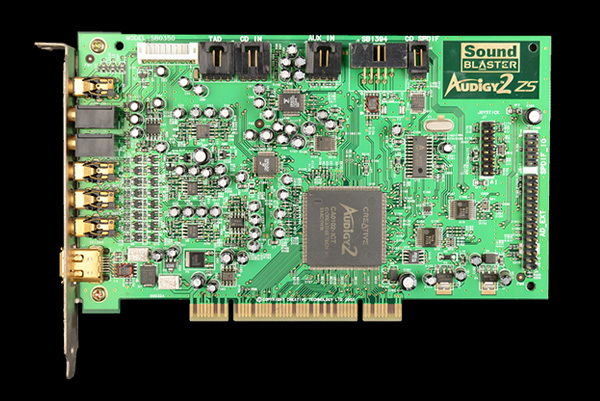 Sound Blaster 1.0 was released in 1989, bringing recording functionality to PCs. Subsequently, it became one of the top-selling sound cards for PCs. 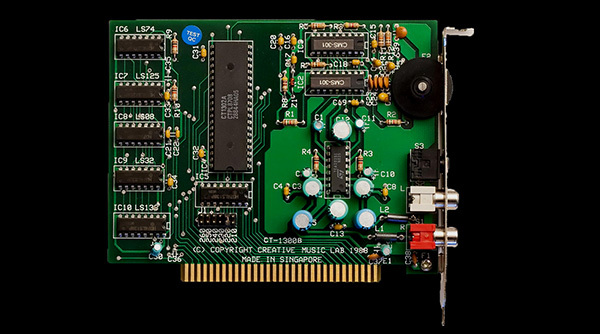 The inclusion of the game port in a sound card was something that had never been done before. 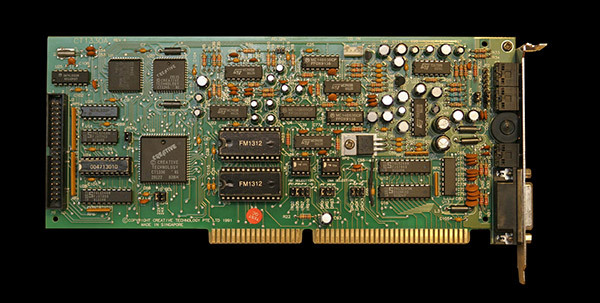 It allowed users to connect additional peripherals via the Sound Blaster sound card. Following subsequent revisions, higher sampling rates and capabilities were brought into the market. Sound Blaster Pro became the de facto audio standard for PCs. Microsoft bundled the Sound Blaster Pro audio drivers with their newly launched Windows 3.1 in 1991. Sound Blaster 16 introduced CD-quality audio to PCs. With the Sound Blaster 16, PC audio possessed the same capabilities of CD audio that sampled at 16-bit/44.1 kHz. The audio quality of these early generation 16-bit sound cards (in the range of high 70s dB) was good, but it hasn’t attained the standards of Hi-Fi audio system. The new Sound Blaster AWE32 was supported by an advanced wavetable technology from the subsidiary E-MU, which supplies ultra high-end Digital Audio Workstation products to the professional market. Using E-MU's new E-MU 8000 APU, equipped with almost 500,000 transistors, the PC MIDI music outperformed those players in the professional music market for the first time. About a year later, E-MU used the E-MU 8000 APU in their ultra high-end Digital Audio Workstation products. By then, the Sound Blaster AWE32's audio quality had reached the range of high 80s dB, a hairline away from the standard of a Hi-Fi audio system. Sound Blaster AWE64 attained hi-fi standards. The Sound Blaster AWE64 boasted an improved signal-to-noise ratio of over 90dB that turned the PC into a hi-fi audio system. 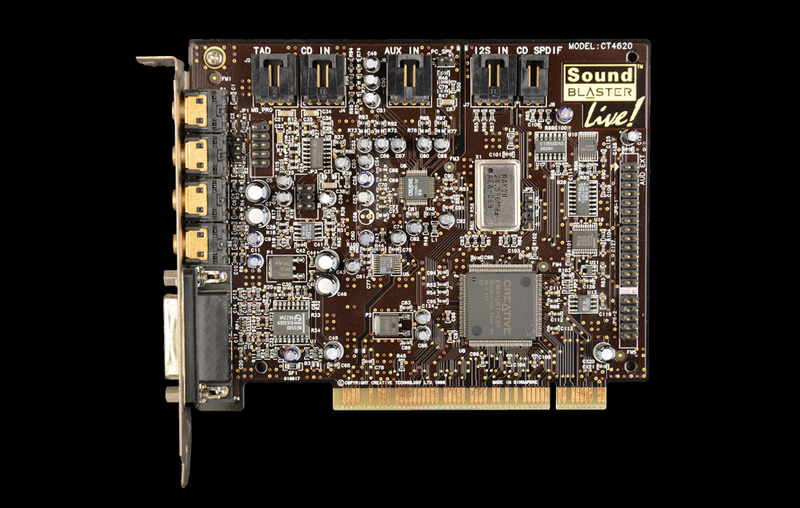 Sound Blaster Live! was a game-changer. 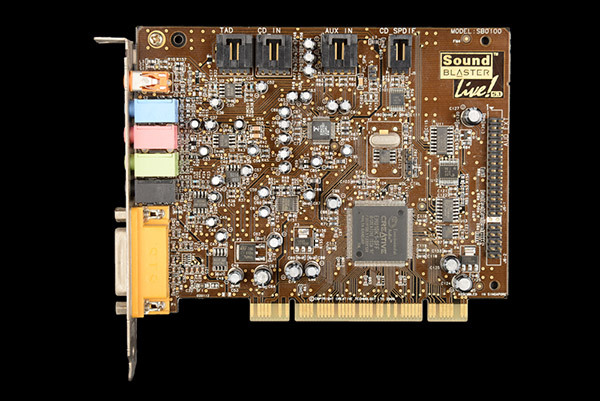 A new PCI audio chip was introduced in the market, which powered the Sound Blaster Live! The EMU10K1 APU, with two million transistors and unprecedented audio processing power and performance of 335 MIPS, blew away the competition. Another new audio platform, Environmental Audio eXtensions EAX application programmer’s interface API was introduced in the market. Established as the new audio standard under Windows, the EAX API was made available in the industry for free. 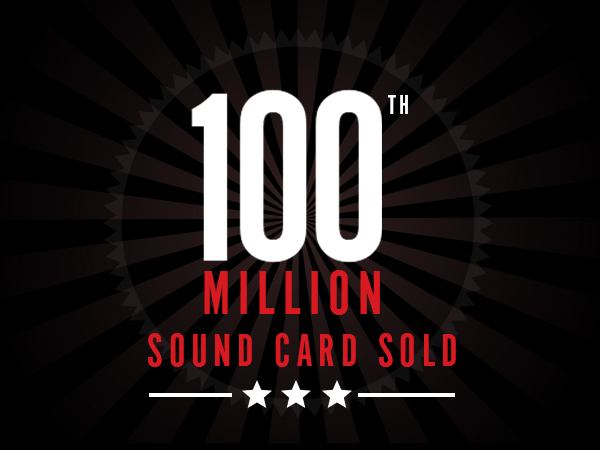 This year marked the first decade of the launch of Sound Blaster, with the 100-millionth Sound Blaster’s shipment. The Sound Blaster Live! 5.1, which could provide full DVD 5.1 surround capability, was shipped – heralding the PC industry's march into domestic establishments. 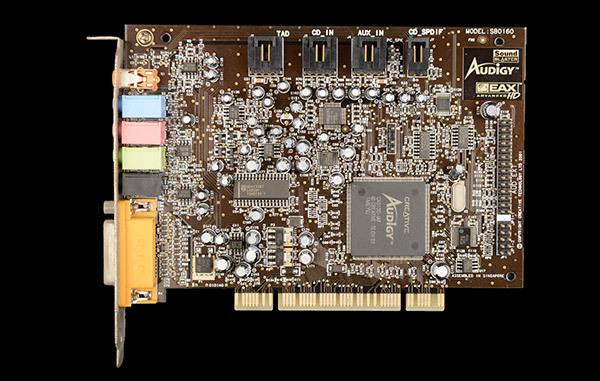 The Sound Blaster Audigy, the world’s first 24-bit sound card, was launched. It was able to deliver four times more effects processing power than the Sound Blaster Live! – and was also more advanced than its predecessors. Combined with the new Audigy platform, the 2nd generation EAX, the 24-bit EAX ADVANCED HD was launched. The audio quality of Audigy has reached the 100dB signal-to-noise ratio. It has surpassed high-end Hi-Fi audio equipment, and moved into the field of professional Digital Audio Workstation products and luxurious recording studios. The Audigy 2 was designed to support the new 24-bit DVD-audio standard in the consumer electronics retail space. 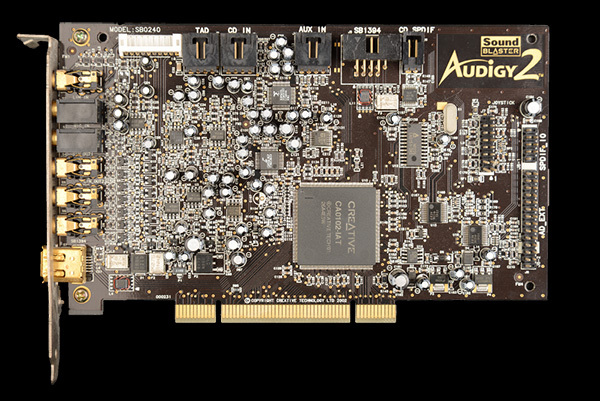 The Sound Blaster Audigy became one of the largest installed bases for DVD-audio almost overnight. The Audigy 2 series was launched as the first category of sound cards to receive the coveted THX™ certification. The latter versions of Sound Blaster Audigy included support for 6.1 surround audio and 7.1 surround audio, each with the latest version of EAX ADVANCED HD that significantly improved audio realism. 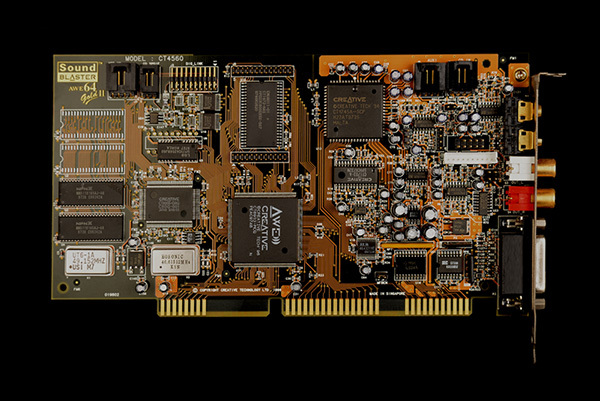 Sound Blaster X-Fi was equipped with 51 million transistors and its computational power was estimated at 10,000 MIPS. In terms of processing power, the X-Fi processor has beaten the current top-end Pentium 4 of that era (3.6GHz), which has over 50 million transistors. The processing power offers users one of the most powerful mixing capabilities of that era, making it a powerful sound card for home musicians. EAX reached a new milestone by supporting 128 voices processed in hardware that offered a more accurate simulation of a real-world audio environment. The Creative Sound Blaster X-Fi Titanium HD is powered by the 2nd generation Creative X-Fi Xtreme Fidelity audio processor for PCI Express slots. It combines captivating industrial design with audiophile-grade Digital-to-analog Converters DACs and components to produce a 122dB signal-to-noise ratio, the highest ratio ever produced by a Creative sound card. The Creative Sound Blaster X-Fi Titanium HD was also the first sound card equipped with THX TruStudio PC audio technology. The latter versions have been installed with THX TruStudio Pro™ . Specially designed and engineered to meet the demand for simplicity and coolness by a highly wired generation of tech-savvy users, the Sound BlasterAxx shifted to a new paradigm of producing great sound while keeping things simple. The Z-Series of Sound Blaster PCI Express sound cards represented an elevation of standards of technology and performance for the future of gaming and entertainment on PC. The Z-series also stepped up its game in the hardware category by offering studio-grade components to deliver outstanding fidelity for audio playback and recording. Plus, it was equipped with SBX Pro Studio™ technology that was specifically designed to work in harmony with the top notch hardware. The Sound BlasterAxx AXX 200 functions as a full-fledged Sound Blaster and a portable, powerful Near Field Communication NFC wireless speaker packed into one package. 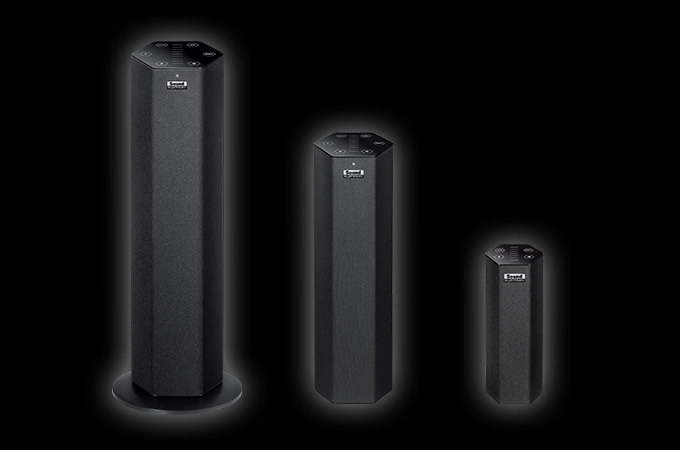 This wireless audio system, with its built-in SB-Axx1™ chip for advanced audio enhancement and customization, separates itself from other portable wireless speakers in the market. Apart from performing audio playback, the wireless audio system can enhance audio in real time by tapping on Creative's proprietary SBX Pro Studio audio technologies to deliver outstanding audio playback. 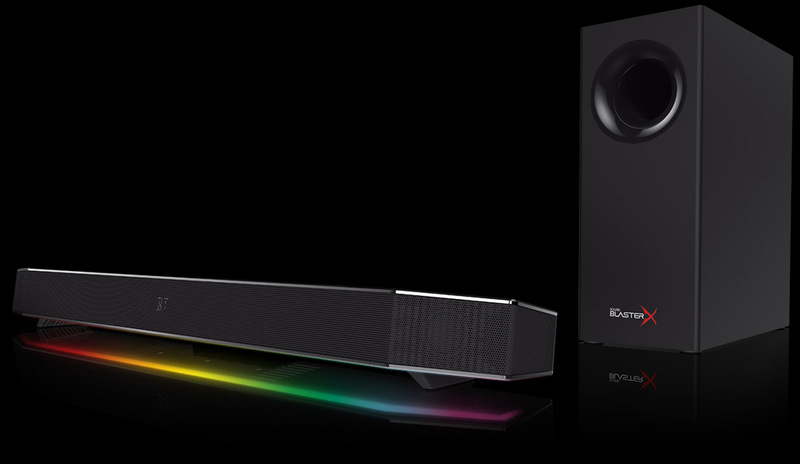 The Sound Blaster Roar is designed to outperform existing home sound systems. A contender in the wireless speaker market, it is a compact and portable booklet-sized speaker that delivered amazingly powerful, precision-tuned, high fidelity sound. This is the portable speaker that represents the pinnacle of portable wireless audio, and marks the redefinition of the home stereo and wireless speaker market - wireless connectivity, portability, high fidelity and audio power all tightly packed in a compact enclosure. Sound Blaster Roar differentiates itself with its bi-amplified design that utilises two amplifiers - one dedicated to driving the lows and mids, and another one dedicated to delivering the highs. This allows the speaker to produce uncompromisingly clear, high definition, well balanced music. As an ultra high-end external Sound Blaster sound solution, the Sound Blaster X7 Limited Edition was designed to connect to a range of gaming and entertainment systems, with an impressive 24-bit/192kHz high-resolution 127dB digital-to-analog converter DAC and a powerful 100W audio amplifier. It provides superior, pure and lossless listening experience for games, music and movies – meeting the most discerning demands of audiophile listeners and gaming enthusiasts alike. Clearer, Louder, Harder, Better! 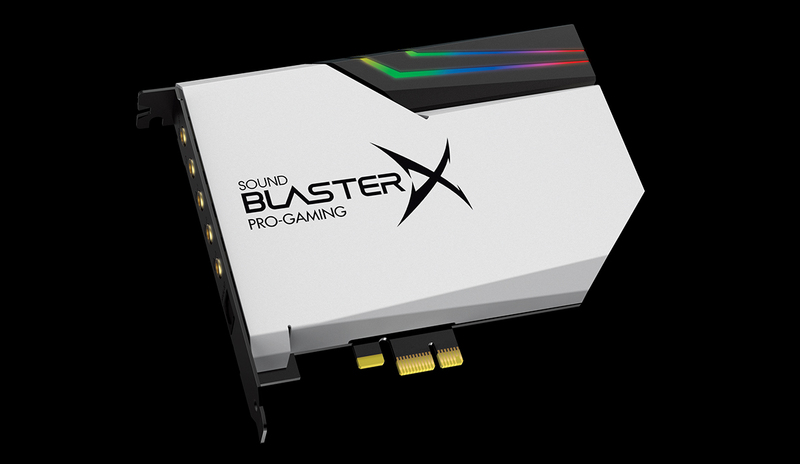 A new line of gaming audio peripherals designed for today’s generation of discerning gamers, Sound BlasterX Pro-gaming is committed to delivering exhilarating gaming audio experiences with comfort, durability and performance at its core. The Sound BlasterX Katana is the world's first true Under Monitor Audio System (UMAS), fitting right under monitors with a slimness unmatched by other “gaming sound bars”. Powered by Sound Blaster's award winning multi-core audio DSP, the BlasterX Acoustic Engine, Dolby Digital 5.1 Decoding, and featuring a tri-amplified design, the Katana delivers ultra-precise audio at each part of the audio spectrum for a truly immersive audio experience. The Sound BlasterX Katana proudly displays the Aurora Reactive lighting system, a series of 49 programmable LED lights lined from edge to edge of the Katana chassis. Among other products in the Sound BlasterX line to feature the Aurora Reactive lighting system include the newly launched Siege Gaming Mouse, Vanguard Gaming Keyboard, and Kratos S5 Gaming Speakers. 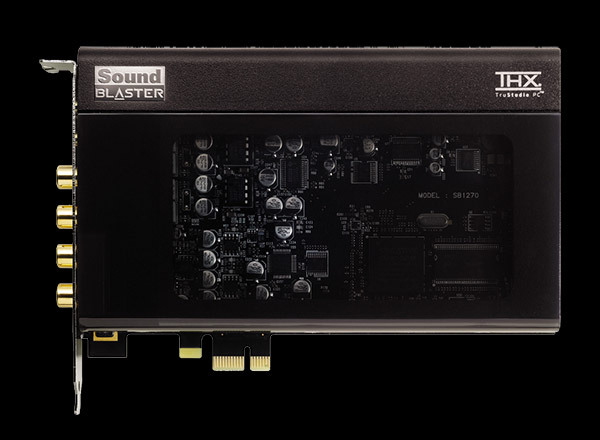 Our first internal sound card in five years, the Sound BlasterX AE-5 is a sight to behold. This SABRE-32 Ultra Class Hi-Resolution PCIe Gaming Sound Card and DAC comes with Xamp, a brand new discrete headphone amp utilizing bi-amplification technology. Each audio channel is individually amplified, allowing the AE-5 to deliver a whole new level of pristine audio fidelity in an unaltered lossless model to each earcup regardless of demand. The ultra-low 1Ω output impedance drives 16-600Ω headphones perfectly, and the AE-5 comes with the Aurora Reactive Lighting System with 16.8 million customizable colors.